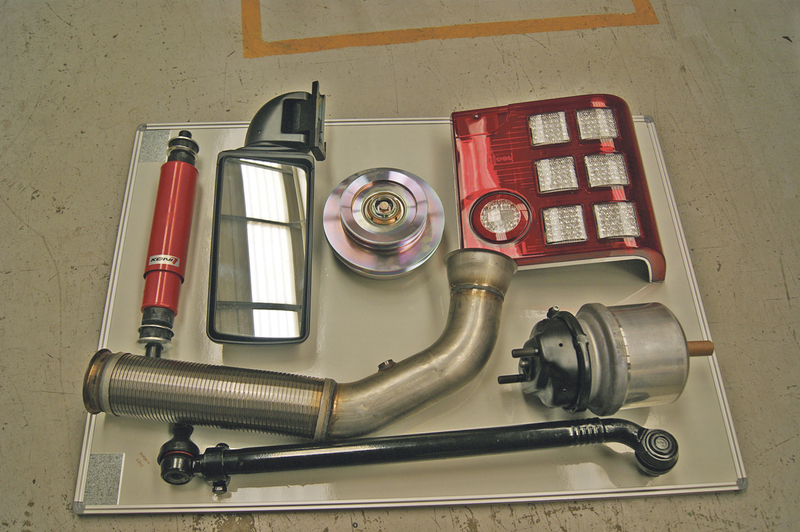 VDLs, Van Hools, Sitcars, Beulas and Indcars, you already know Moseley (PCV) supply them, but did you know the dealer is also a major parts provider for these vehicles? The company’s extensive parts department has been set up to support the maintenance and repair of these coaches. It is headed by Commercial Manager Parts, Philip Allen. Chris Peat visited the business’s South Elmsall premises to meet Philip and take a look at this segment of the dealer’s operation. Although he has been with Moseley (PCV) for three years now, Philip is still relatively new, especially compared to a lot of the dealer’s other employees, a number of whom have been there for two decades. Despite being the relative new boy at Moseley, he is certainly no stranger to the bus and coach industry. Before joining, he was at Heavy Duty Parts and prior to that enjoyed a career with Voith and ZF (not quite making it a transmissions hat trick by working for Allison). It came to pass that he spoke to Karl Moseley, who gave him the opportunity to work at Moseley (PCV). 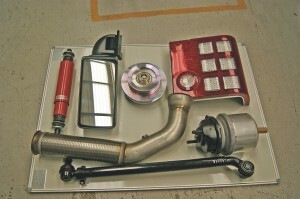 A tiny selection of parts Moseley can provide. What can make the job harder are the various differences in similar models, requiring a dizzying array of components. With marques like Van Hool and Beulas, there are a lot of options for customers, meaning a high number of parts are potentially required for them. 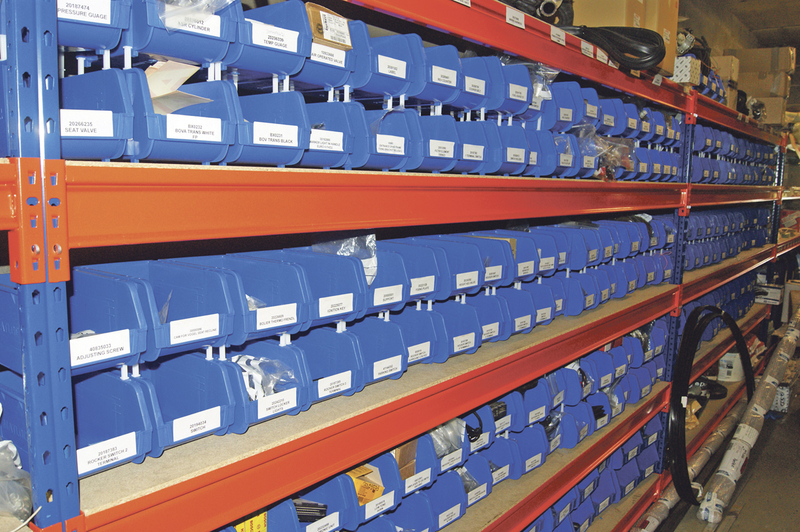 More standardised models, like VDL, are less difficult to source components for, but still require an extensive catalogue of spares. Moseley has contacts with Scania and Volvo, having once supplied Van Hools on the latter’s chassis, meaning it is possible for it to supply components from these marques. It also has contacts with other makes and will buy in parts for vehicles it has taken in second hand if required. However, the main growth of the business has mainly been centred around the vehicle brands it supplies. 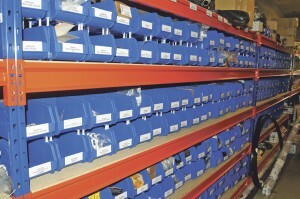 Just part of the extensive stores Moseley (PCV) has in its parts department. Indcar too. As more Sitcar Voyagers are sold, with ‘a few already’, items kept for these are expected to grow. 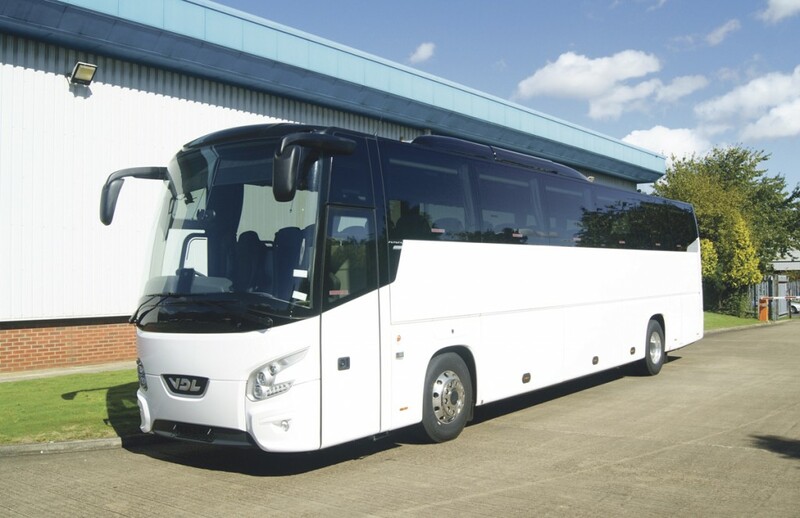 ‘Since I’ve been here, we have got closer to manufacturers, which is something I would like to do even more of.’ VDL has been on board with Moseley (PCV), ‘providing us with different solutions to problems’. With these efforts to encourage its relationships, Phillip said he has seen some ‘good growth’ in business. He said, ‘This year has been more of a consolidation year, yet we have still seen some growth. In 2014-15, growth was huge.’ Moseley has ‘invested a lot’ since he has been with the company, spending on technology, infrastructure and the stock, as well as training. The VDL Futura FHD 2 is proving popular for the dealer currently. Moseley (PCV) provides training for owners of the vehicles it sells. It carries the training out at its own premises, but has in the past done it off-site. Stuart did this in a DAF dealership in Oxford recently, providing training days for DAF technicians at one of that manufacturer’s bases. 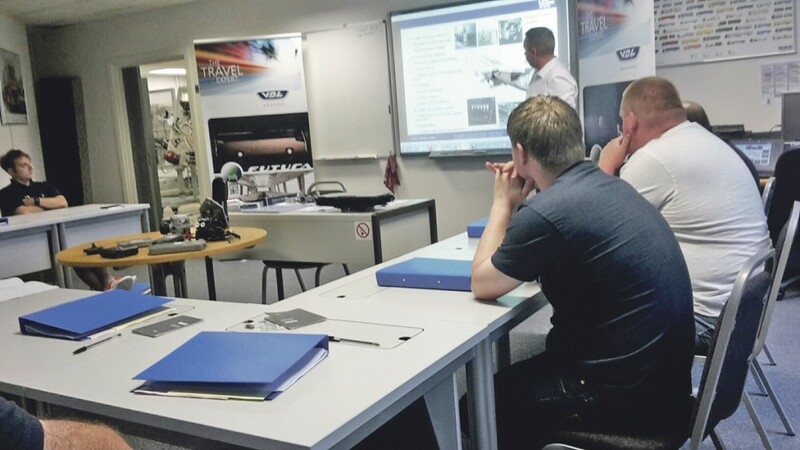 It saw candidates from 19 DAF dealers from across the country come down and be shown how to maintain and repair one of its VDL Futura FHD 2s, an example of which was taken down to the training centre. A line up of some of the company’s used vehicles. In terms of sales, it has been a good year. This has been the case with new vehicles and used. Phillip said the parts division has not had a quiet period yet, being ‘flat out’. In vehicle sales, Stuart said the Futura FHD 2 has proved most popular. Considering it is a new brand for the dealer, Indcars have done well too. The salesmen lead into aftersales, communicating any feedback they get from customers to them, which allows them to address any issues. The dealer has regular visitors too, who Phillip says comment on ‘what a good atmosphere’ there is. A factor behind this, according to him, is that the size of the company means everyone has a role, ‘we’re not just a number’. Looking ahead, Phillip and Stuart said Moseley (PCV) will aim to improve its offering, looking at other products. It aims to make sure they have got what customers are looking for. In recent times it has done this by entering the 33 seat market, which it has filled with the Sitcar and Indcar. Additionally, Beulas and VDL can offer 10m versions of its coaches. Phillip said, ‘We can offer something for everybody’. Additionally, something that is highly likely to continue into the future is its working relationship with the rest of the Moseley Group to ensure its customers receive the best possible service. In the rare instances where Moseley (PCV) does not have stock of a part a customer is looking for, it can contact Moseley in the South or Moseley Distributors to see if they have it. If they do, they can ask the other branch to send it directly to the customer. With such focus on supporting and improving its staff, there is no surprise Phillip and Stuart are so enthusiastic about what they do at Moseley (PCV). Walking around the site it is clear that the family atmosphere they both describe is certainly there. 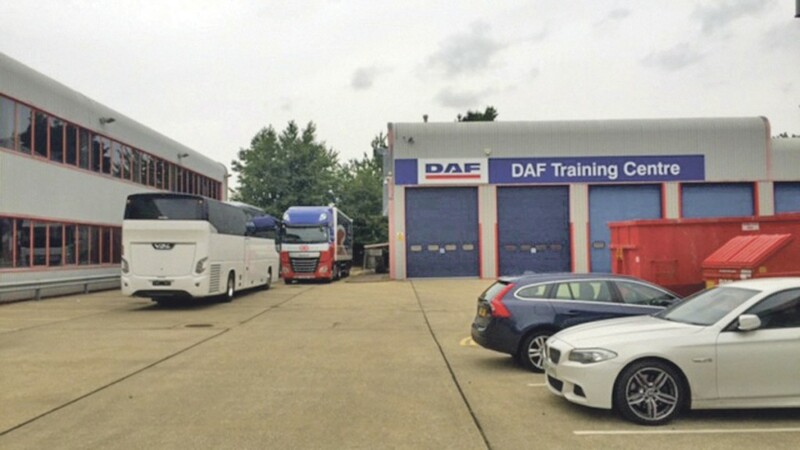 Stuart Binns carried out some training at DAF’s training school recently, taking a VDL Futura FHD 2 for demonstrations.